Early childhood education providers and stakeholders from across the State, along with lawmakers, Early Childhood Coordinator Terry Lock and Governor Neil Abercrombie, participated in a roundtable discussion on early childhood education in Hawaii yesterday. 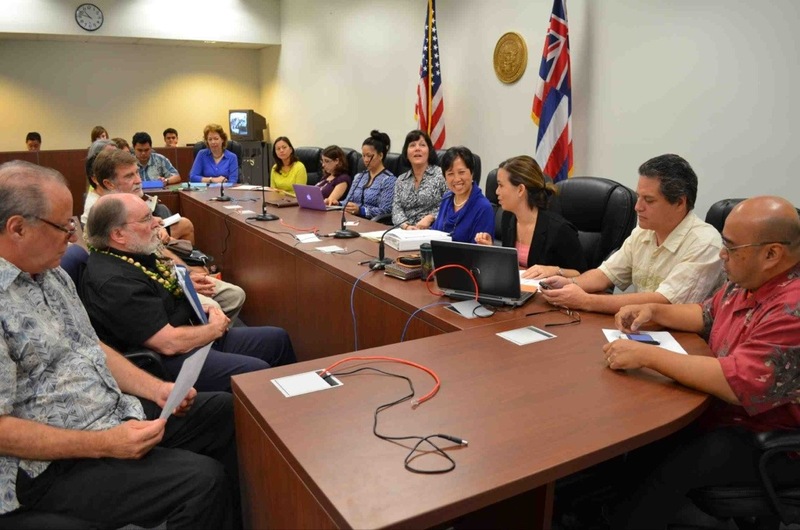 Stakeholders from Maui, Kauai, Waimea, Kona and Hilo participated in the discussion via Google+ Hangout, hosted by Senate Committee Education Chair Senator Jill Tokuda. U.S. Senator Mazie Hirono’s Chief of Staff Betsy Lin also linked in, via Google+ Hangout from Washington, D.C. Participants discussed early childhood education program measures moving through the legislature. Providing Resources Early for Kids Act (PRE-K Act), a measure introduced by Senator Hirono earlier this month was also discussed. The PRE-K Act creates a new federal-state partnership that incentivizes states to both improve the quality of state preschool programs and expand to serve more children in need. Under this legislation states, like Hawaii, could apply for startup funds if they submit a plan to establish a high-quality preschool program within two years. Along with using Google + Hangout, the discussion utilized Twitter to receive questions from the public. “Using communication tools such as twitter and Google+ Hangout to discuss an important initiative like early education enables people to participate in the conversation from wherever they are. They don’t have to be in the room to listen in, or chime in,” said Sen. Gil Keith-Agaran (District 5 – Wailuku, Waihe‘e, Kahului), who was tweeting information during the event. Google+ Hangouts provides users the capability to video chat with multiple individuals at the same time. Google+ Hangouts in concert with other social media vehicles continue to be leveraged by government officials seeking new ways to engage with those they serve. This is Tokuda’s second Google+ Hangout event this legislative session. In February, Tokuda conducted the Senate’s first ever Hangout, dubbed the “Principal Hangout,” in which she sat down with principals from around the state to talk about the Weighted Student Formula.